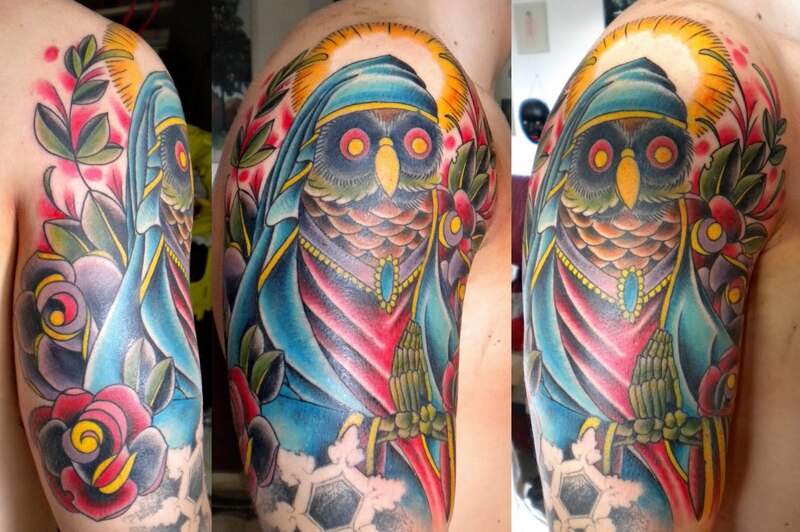 Tattoo Blog » Meet Dejan Furlan! 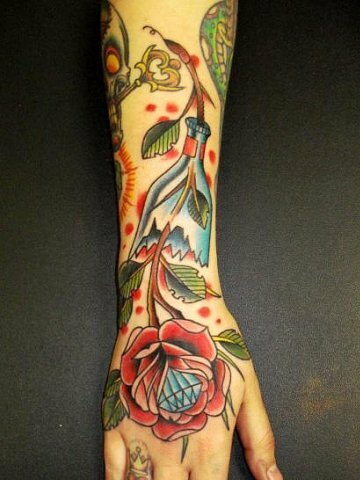 Tattoo Blog » Inspired » Meet Dejan Furlan! I look all over the place for tattoo artists whose work catches my eye. The only problem with this is that there are so many rad tattooists out there that I can never keep track of them all. I don’t think that any of us can. So in all honesty, I don’t feel embarrassed if I haven’t heard of a particular artist because I find that for every artist people have heard of, there’s probably about ten incredibly talented ones that people haven’t heard of. Yet. That’s fine, it’s just the way it goes. What does embarrass me though, is when I find out about a tattooist, really dig their work and then realise that they work a few blocks away from me. Damn. That one cuts deep. So I have to apologise to Dejan Furlan for not profiling him sooner. The guy has obvious skills and his work mixes both the Classic American and Latino styles with big amounts of colour and sharpness. The end results are tattoos that should have caught my attention much, much sooner. Sorry dude. For those people out there who don’t know Furlan’s whereabouts and who’ve found themselves sufficiently impressed by his work, he can currently be found at Vancouver, Canada’s Adrenaline VanCity Tattoo, right smack dab in the heart of downtown Vancouver. If you’re in Vancouver, and you want to get tattooed by Furlan, you can do so by calling 604.669.6800.